Warehouse 13 ‘A New Hope’ mini-review! A New Hope is the first episode of the fourth season of Warehouse 13. After the destruction of the warehouse in the finale of the last season the story continues with the direct aftermath to those events. 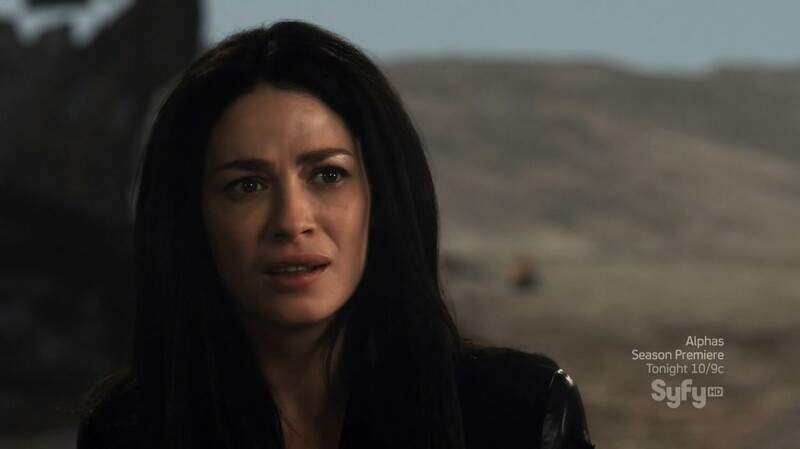 Pete, Artie and Myka have survived thanks to H.G Wells (Jaime Murray) sacrificing herself. Quickly Artie comes up with the suggestion that they use a fail-safe to travel back 24 hours in order to stop the warehouse being blown up. However, as it will take time to find Magellan’s Astrolabe they must attempt to retrieve it within 24 hours. 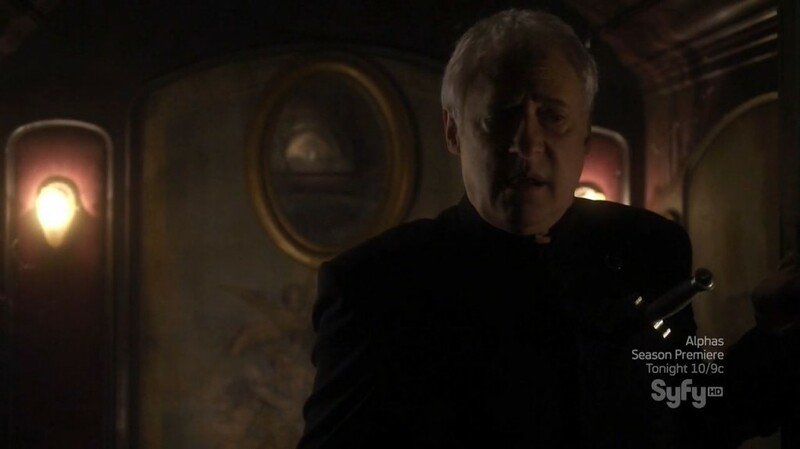 The search first takes them to the south of France to a monastery of the Knight’s Templar where they are almost killed by the priests there (guest starring Brent Spiner). In fitting tribute to the movie Angels & Demons the trail leads them to Rome and to Saint Peter’s tomb. Our gang manages to enter the tomb but only after Myka (Joanne Kelly) manages to trash an italian restaurant in a diversion. Artie manages to retrieve the artifact but Pete dies and the Templar priest gives Artie a dire warning about the time-machine. Artie manages to travel back in time for 24 hours and with the help of Myka and H.G. disarms the bomb that the villain Sykes has planted. After Sykes is apprehended Artie vows that H.G. Wells should be allowed to join the warehouse gang, something Mrs. Frederick reluctantly allows. 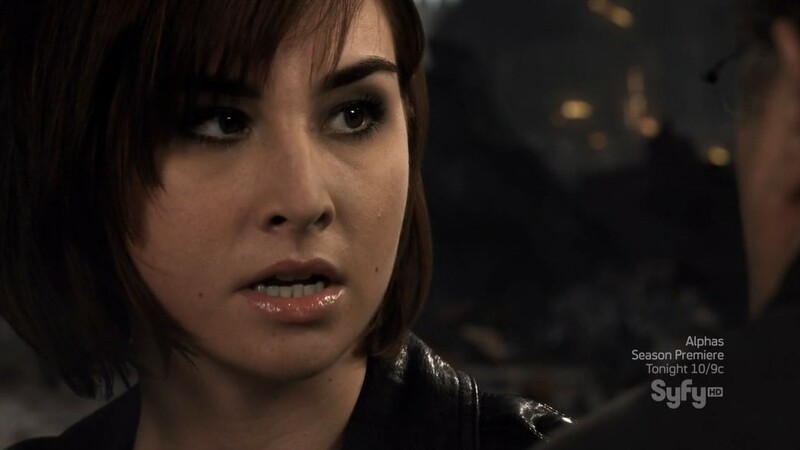 She remains suspicious of the way Artie managed to disarm the bomb as he hasn’t old anyone about the time-travel. A New Hope was a good episode, not brilliant but good nonetheless. The first half of the episode is a bit slow and familiar but the second half saves this episode from the bottom pile. The subplot on the artifacts is however very confusing, the search for Magellan’s Astrolabe is a mess. The level drama is like season 3 higher than it was during the first two seasons of the show. The fact that Artie travels back 24 hours and manages to save the warehouse means that Pete, Mrs. Fredericks and H.G. Wells all survived. Steve Jinks is still dead and I don’t think he will return. Now that Jaime Murray’s character is going to be a regular on the show I suspect she will be teamed up with Artie and Claudia. And I think fans wouldn’t have it any other way. The character of Leena (Genelle Williams) will probably also become more important this season. Viewer rating; 2.14 million. Which is OK considering it’s a Syfy rating. I have been watching Warehouse 13 since the series premiered and this is one of my favorite episodes. Maybe it was just how familiar I am with the characters and plot, but I loved it. Understanding that he had to do anything he could to save the warehouse, Artie did a great job sacrificing something he didn’t understand for the greater good. I have been telling my coworkers, at Dish, about the return of this series for months, and I wasn’t disappointed. I didn’t get a chance to watch the premiere live, but thankfully it is on Dish Online for free, so I was able to watch it this morning with very few ads. I really can’t wait to see where the season goes from here, it seems to only get better! Previous story Continuum Ep-8 Playtime Review!